Life is Strange touches on important topics and, despite some flaws, is well worth experiencing. Most games lack complex characters with any depth at all. Most games steer clear away from important topics and issues. Most games do not concern themselves with evoking more complex emotions than “I’m having fun”. 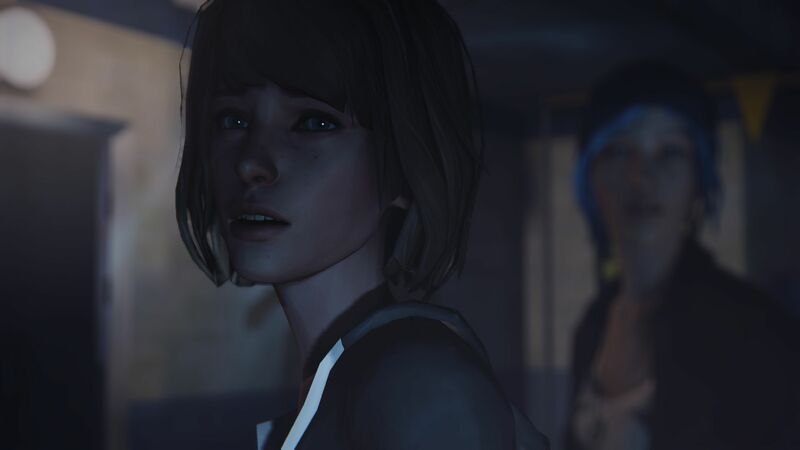 Thankfully, Life is Strange isn’t like most games. Life is Strange is a five‐​part episodic game released throughout 2015. It’s the second game from Dontnod Entertainment, with 2013’s Remember Me being their first. 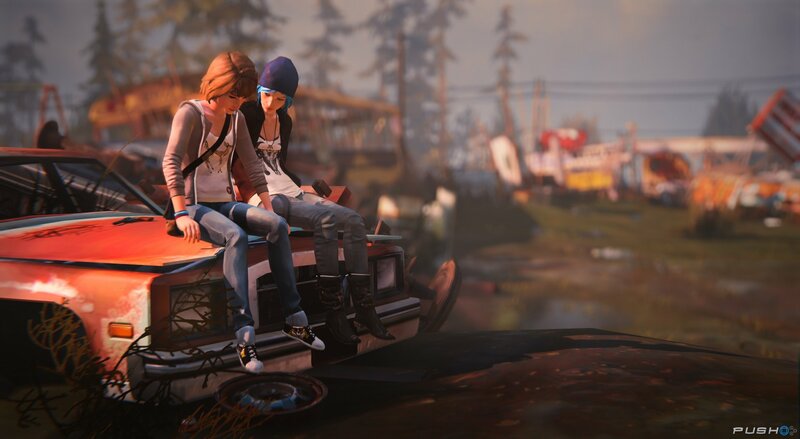 In contrast to the futuristic sci‐​fi setting of their first game, Life is Strange is in essence a coming‐​of‐​age story starring two rather normal female heroines at the end of their teen years, living rather normal lives filled with rather normal late‐​teen troubles in a rather normal Oregon town called Arcadia Bay. That is, if your definition of “rather normal” includes time‐​reversing powers. 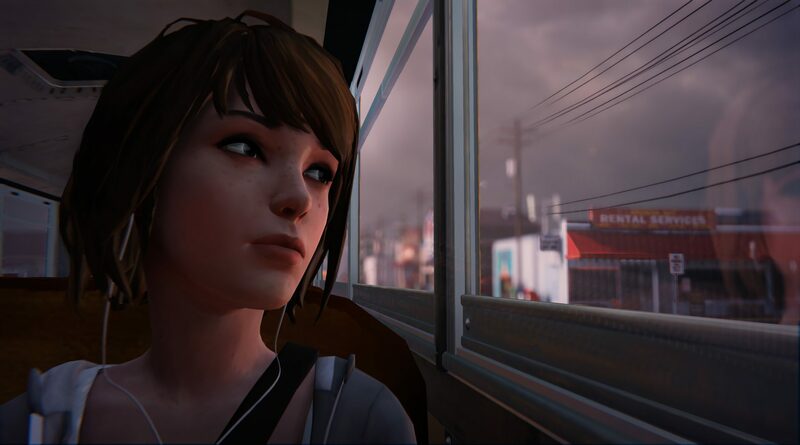 Max Caulfield, the protagonist of the game, is a photography student at Blackwell Academy, having returned to her hometown after several years away. As the game starts, she awakens from a dream, or a vision, of Arcadia Bay being obliterated by a giant tornado a few days later. This premonition is the first sign that something is horribly wrong in Arcadia Bay (or was horribly wrong, or will be, or might will have been – it’s hard to know when time‐​bending powers are involved). Her normal high‐​school life then takes a turn for the distinctly abnormal – at least on the surface – as a series of events rapidly unfolds in which she discovers that she has the power to reverse time. Max ends up hooking up with Chloe Price, her best friend from childhood, now in her rebellious and miserable “punk girl with blue hair” phase. And who can blame her? Her father died in a tragic accident, her step‐​dad is a douche, Max never kept in touch while she was away, and Chloe’s recent BFF, Rachel Amber, mysteriously disappeared six months ago. 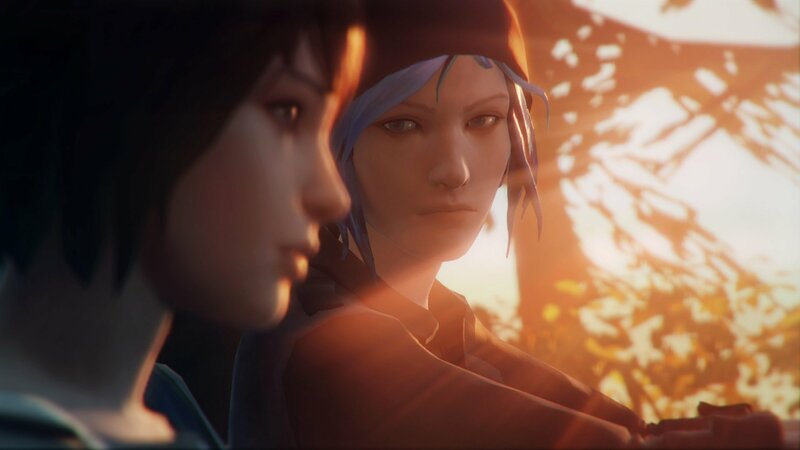 After a stumbling and fumbling reunion, Max and Chloe decide to get to the bottom of what happened to Rachel Amber. With Max’s newfound time‐​reversal powers, the stage is set for a mystery‐​crime‐​thriller plotline with a generous helping of the butterfly effect. On the surface, it could seem like all you do is walk around as Max, talk to people, and look at stuff to get Max’s thoughts on it. As with most dialogue‐​driven adventure games (even the good ones), the game mechanics in themselves aren’t that interesting. It’s never technically challenging to play; with a few exceptions, each environment more or less just has you hunting around for everything to “activate” – to look at, speak to, and interact with, whether to progress the story or just dump some exposition about background characters, places, and events. As far as gameplay goes, you’re not far off if you call this a Telltale‐​style dialogue‐​driven adventure game (Like The Walking Dead, The Wolf Among Us, Game of Thrones, etc.) with the ability to reverse time. That, however, would be selling the game unfairly short. First, the time‐​reversing ability is not just a gimmick that allows you (limited) do‐​overs for dialogue options; it is in many ways front and center in the story. Second, Max’s newfound superpower is even more interesting when seen as a metaphor for the ability to impact society that comes with growing up, and thus immediately provides another layer of interpretation of the plot. Still, the game’s main weakness is perhaps the occasionally boring gameplay. I thoroughly enjoyed the first episode, but the second and third tested my patience at times (“at times” being an important qualifier; I never considered putting the game away for good). After action‐​filled and suspense‐​oriented sequences, the pace often drops considerably, sometimes a bit too much. Around episode 4, however, the “thriller” aspect of the story really takes off, and the “edge‐​of‐​your‐​seat” factor was significantly higher from there on out. As with most stories involving time travel, plot holes abound. Your time‐​travel power is not unlimited and is sometimes taken away, seemingly at random, just because the story requires it. Granted, the limitations of your power is an important part of the story, but it still feels arbitrary at times. Straight‐​out contradictions and obvious plot devices are even harder to swallow. Still, they were (for me) sufficiently few and far between that they did not get in the way of the story and deeper themes of the game. And the deeper themes is where the game shines, so let’s talk a bit about those. To me, playing Life is Strange while actively looking for plot holes would be counterproductive. While some pseudo‐​scientific mumbo‐​jumbo is namedropped, the game never makes any attempt to fully explain your powers, and I’m thankful for that. Contrary to what it might look at first, this isn’t really a game about using awesome time powers to solve a mysterious disappearance, no more than Mass Effect is a series of games about determining what to do with the Reapers. Life is Strange is a game about fairly ordinary people and the relationships between them. If you disregard the supporting cast of fairly stereotypical students at Blackwell, the game sports a cast of both teenagers and grown‐​ups, each with their own hopes, wishes, dreams, desires, problems, fears, and demons. 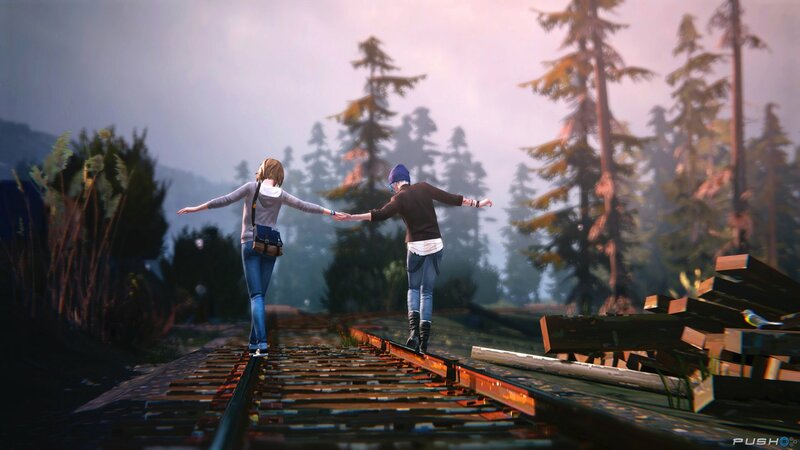 With Max and Chloe in the middle, it’s a heartfelt teen drama delivered in the form of a dark, paranormal thriller, and I, for one, have no problem believing the motivations, personalities, and flaws of the two heroines. Life is Strange is about a girl growing up and discovering who she is. It’s a game about friendship and how far you’re willing to go for someone you love. 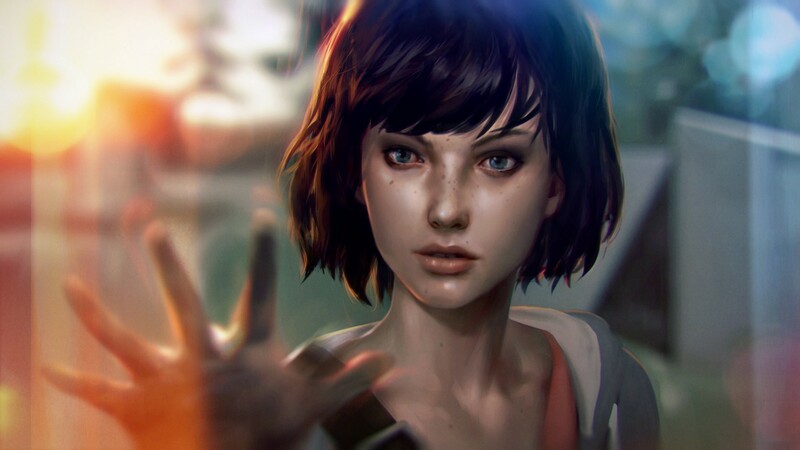 It touches on sensitive topics such as bullying and public shaming, suicide, religion, and mental health, and while I’d like to see it treat these topics more carefully and in‐​depth, I find it extraordinary enough that a game attempts to take this seriously at all, not to mention starring two relatively ordinary female protagonists in their late teens. What I’m getting at is this: I truly appreciate what the game tries to do, so much that I enjoy it despite its flaws. Life is Strange is not a game to master in order to unlock an optimal ending; it’s part of a life to stumble through. Themes aside, the main reason Life is Strange succeeds is the emotional impact of your choices and their consequences. While many of the game’s important choices could be explored more in‐​depth, the strength of the game often lies exactly in the lack of overt reasons for doing things this or that way. This makes your internal decision‐​making process a vital part of the game, and the most interesting part of the game becomes discovering your own reactions to the emotionally charged predicaments that affects the people you care about. In other words, the strength of Life is Strange lies not in the true impact of your decisions on later events in the game, but instead on your own mental process in making difficult choices. No matter the eventual consequences, you made a choice, and your distinct journey through the game will shape you and how you view Arcadia Bay and all of its inhabitants. And make no mistake: Many of the choices, whether realistic or seemingly happening just because the story requires it, are difficult to make. You might be able to see some events coming before they happen, but that doesn’t change the fact that when the time comes, the moment will still be highly emotionally charged and the choice a hard one. The emotional impact is partly backed by the game’s excellent soundtrack, which seems to be a carefully curated selection of music that’s used to evoke just the right feeling at just the right time. The voice acting is also great (at least for the central characters), which further aids the impact of the story. I do wish the lip‐​sync and facial animations could keep up, but as long as we’re far enough up the right side of the uncanny valley, that’s no biggie – even To The Moon made me cry, and that game has retro‐​style pixel graphics. As far as I know, if you’re a good writer/​producer and you know what you’re doing, it’s not that hard to evoke specific emotions in your audience. This means that it’s easy to fall into the trap of using cheap tricks to evoke the desired emotions. Thankfully, I never felt “emotionally cheated” while playing Life is Strange. I believed the story, the characters, and the situations (well, most of them), and I truly cared about what happened. Let me be clear: Life is Strange is a very good game, and an important one at that. The game tells a strong and emotional story about turbulent teenage friendships and rivalries, about growing up, fighting your own demons and insecurities, and how far you’re willing to go for those you care most about. Its main strength lies in making you actively think about difficult choices, and it manages to present the choices and their consequences with real emotional impact. There are, unfortunately, some points where the pace drops a tad bit too much and you might lose patience with the game. Fortunately, it always gets more interesting again. In particular, the last two episodes had me sitting at the edge of my seat most of the time. Should you feel bored at some point, I encourage you to stick with it to the end. Despite its flaws, I truly appreciate what the game tries to do, and playing through it was, at least in retrospect, a great experience. Episode 1 is even free on Steam, so why don’t you try it out? While its faults are difficult to ignore, Life is Strange tells a compelling and emotional story about complex characters. On the whole, the game manages to deliver a solid experience, and I urge everyone to try it.